1. For me the most important tip is to write, write every day, 365 days a year. Remember practice makes perfect. 2. Very few authors are published on their first attempt; it's a hard slog and you'll often want to pact the whole writing business in. It's then you've got to remember patience and perseverance. 3. If you are serious about writing as a career then treat it as such. If you wanted to be a doctor, lawyer, plumber, chef then you'd expect to have to learn the trade. Why should writing be any different? It will pay you to visit workshops and listen to what successful authors have to say. Learn from the masters. 4. I'm a member of a writers group and for me it is essential it helps feed me. Also visit sites like http:www.abcwritersnetwork.co.uk where you will learn about current creative writing contests. Use these contests to help hone your skills. If you are involved in promoting creative writing locally let them know they will advertise the event for you free of charge. 5. In my early days of writing one of my main faults was my failure to accept criticism. This was one of the problems my writers group helped me overcome. 6. Be cautious of loved ones who tell you that your writing is 'marvelous,' quite often they don't want to offend. I've found it best to avoid showing my work to close family until I've had it tested elsewhere. 7. Don't become a writer because you think it is an easy option. It is not. It is hard work. To become successful you have to work 365 days a year. There are very few other jobs that demand that sort of commitment. Maybe after you've hit the big time you can drop that down to six months in the year - maybe. 8 Carry a note book. If you get a sudden idea write it down. Ideas are like dreams they are very soon forgotten, but ideas are also like oak trees they can grow mighty big. 9. Believe in yourself, if you have what it takes to be successful then you will succeed. If you haven't then you'll soon know. 10. Finally Maeve Binchy gives this advice 'write as you talk.' Also write about what you know. I know that's old hat but its true nevertheless. 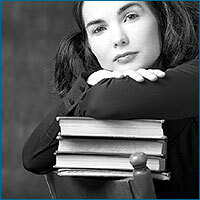 The website offers invaluable information to creative writing. In particular it holds a large data base of creative writing contests and competitions.